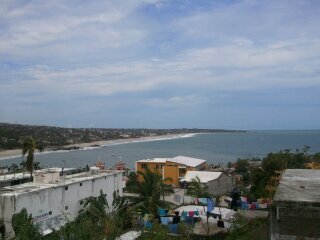 View of Puerto Escondido from our Hostal. 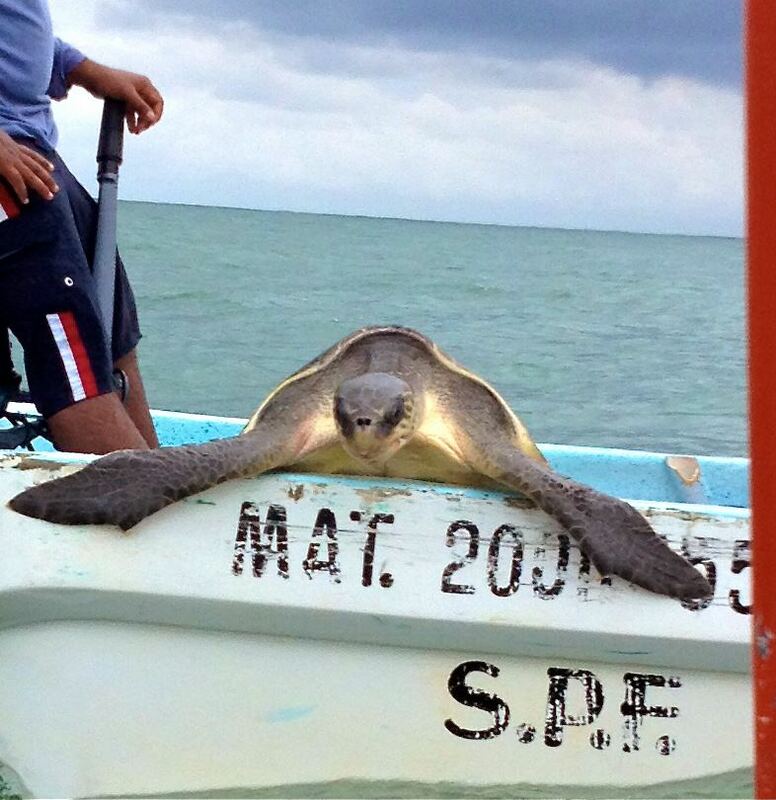 Week 3: Time is flying by and stay in Oaxaca is coming to an end soon. This week we had a free weekend that means I didn't have to work on saturday. My fellow students and I had planned a trip to Puerto Escondido, located on the southwest side of Oaxaca. 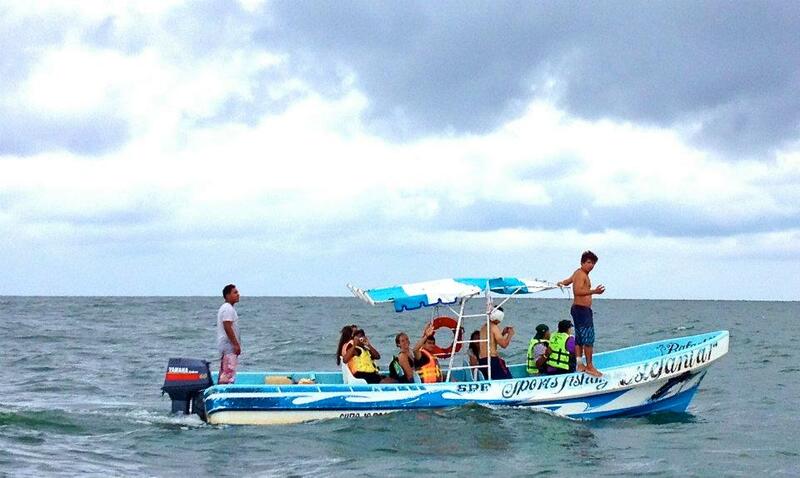 After class on friday we took a van to Puerto Escondido. After 7.30 hrs of drive we finally got there. We had to drive through the mountains, the view was awesome but the drive was not, since i get motion sickness. 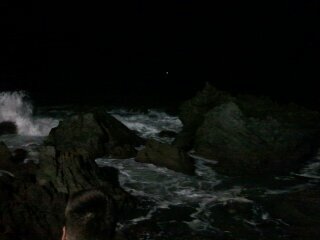 But when i got to Puerto Escondido I realized it was worth it. When we got there friday night, we grabbed food at a local restaurant by the beach and walked on the beach. It was relaxing and peaceful. The next day we returned to the beach, swam in the the Pacific Ocean for a little bit then we took a boat ride to see other beaches, dolphins and turtles in the ocean. 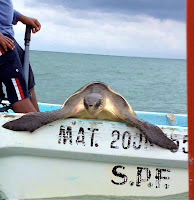 Turtles swim individually, it took us a while to find a turtle but when we did our captain scooped it right on the boat. 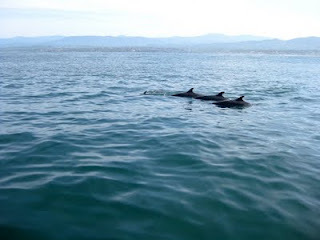 We saw many dolphins swimming in pairs. We also saw other beaches nearby that were good for surfing. Later during the evening, we explored the town and did some shopping. After shopping we grabbed food at a local restaurant and went back to hangout on the beach at night. I wish I could have stayed there longer. It was a great way to spend the free weekend.